Out now on Nintendo Switch. Digital PlayStation 4 version releases on 24 September, physical retail edition arrives in stores on 28 September. 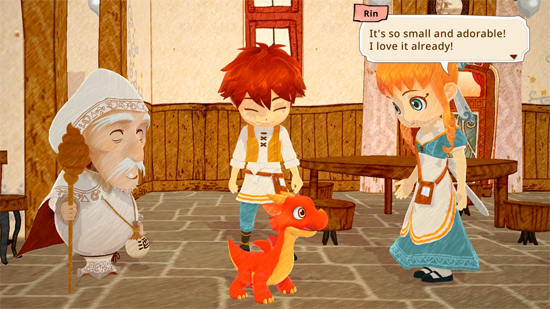 Little Dragons Café is now available digitally on Nintendo Switch. The digital release date for the PlayStation 4 version is September 24. The physical retail release for both formats spreads its wings across Europe and beyond on September 28. Manage your café - Run your own café by preparing tasty dishes, serving your customers, and managing a colourful cast of eccentric staff and visitors. Raise a Dragon - Care for and train your very own dragon as it grows from baby to adult. Explore, hunt, and uncover new areas with your faithful companion.